Mitsui Fudosan and Stanhope have secured another landmark tenant as global pharmaceutical leader Novartis move their UK HQ to White City Place. This move by Novartis further cements White City’s growing reputation as one of the UK’s leading life sciences and technology districts. Leading biotech incubators RebelBio, OpenCell and Huckletree West are also located here, alongside Imperial College’s newly developed Imperial West campus, home to The Molecular Science Research Hub and the Translation & Innovation Hub (I-HUB). Representing a significant investment in UK life sciences, the move will see 600 staff members relocate from Frimley in Surrey to the WestWorks building from March 2019. The company will initially occupy 54,000 sq ft, with the option to expand further to 65,000 sq ft in January 2020. Novartis becomes the third major life sciences letting at White City Place. They join British biopharmaceutical company Autolus, who occupy 33,000 sq ft of the MediaWorks building and UK biotech startup Synthace, who signed to take 13,000 sq ft on the fourth floor of the WestWorks building in July 2018. 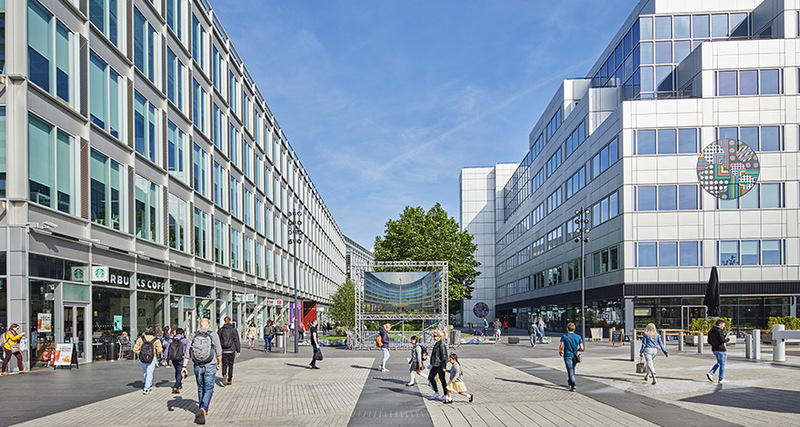 White City is already home to leading technology, media and creative companies including Publicis Media, Yoox-Net-A-Porter, OneWeb, ITV, and Soho House.